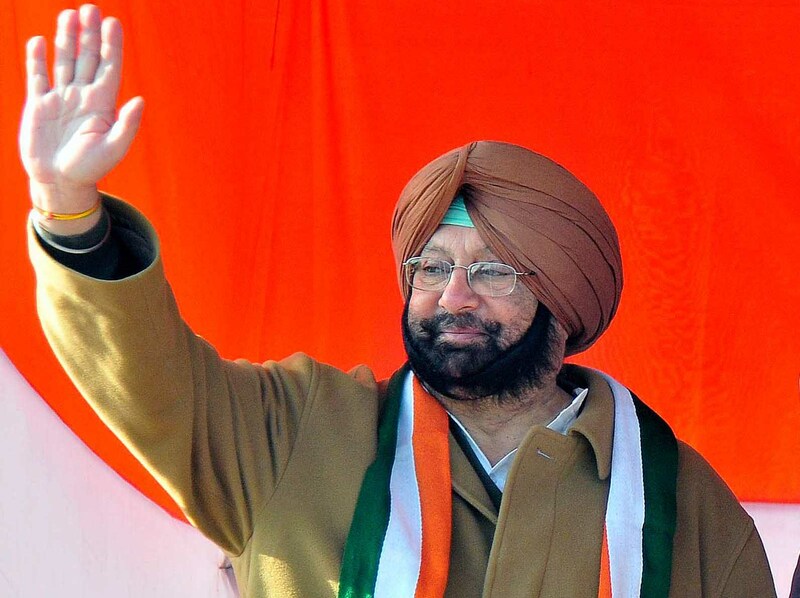 CHANDIGARH, April 14: Reiterating his appeal to the judges of the Supreme Court of India to take into account the ground realities before deciding the SYL issue, Punjab Pradesh Congress Committee president Capt Amarinder Singh today said that the Marathwada water crisis must come as a warning signal for Punjab. “It won’t be that long that barren lands and parched throats would start staring at us like those in the Marathwada region in Maharashtra if the Supreme Court does not take a considerate and logical decision on the matter”, Capt Amarinder said, while warning against a grave water crisis that is already knocking at the doorsteps of the state. The PCC president maintained that the water level in the rivers had gone down considerably from 15.8 MAF in 1955 to 13 MAF now. “Given the fact that the glaciers were hundreds of years old, the water level will further recede in the rivers and reserviours and we may have an imminent drinking water crisis in the state, besides the irrigation”, he warned, while asserting that Punjab had a strong and genuine case against the construction of the SYL. Expressing his sympathies with the people of Marathwada, the former Chief Minister warned that today it may be in Marathwada region in Maharashtra and tomorrow it may be the Malwa region in Punjab as the water resources or depleting fast and the water table was going down at an alarming pace. “That is why I have been appealing to the Honourable Judges (of the Supreme Court) to take note of the ground realities before pronouncing their judgement, lest that leads to unforeseen circumstances”, he appealed to the judges, while hoping that people of Punjab will not have to come on the roads to save their water and to prevent the situations like that prevailing in Marathwada region now. He said, while subsoil water was depleting at an alarming rate of 80 cms a year, large parts of Malwa region had brackish water unfit for irrigation or drinking. He said, if the SYL is forced on Punjab, it will turn 9 lakh acres in the Malwa region barren.